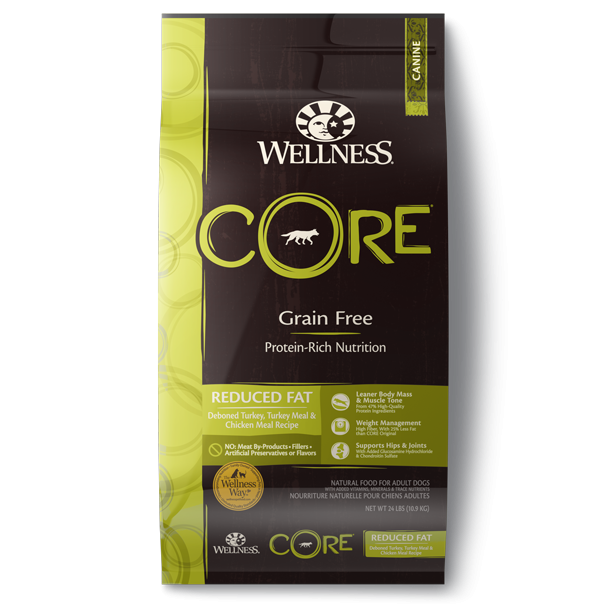 Grain-free CORE Reduced Fat has 25% less fat than CORE Original. 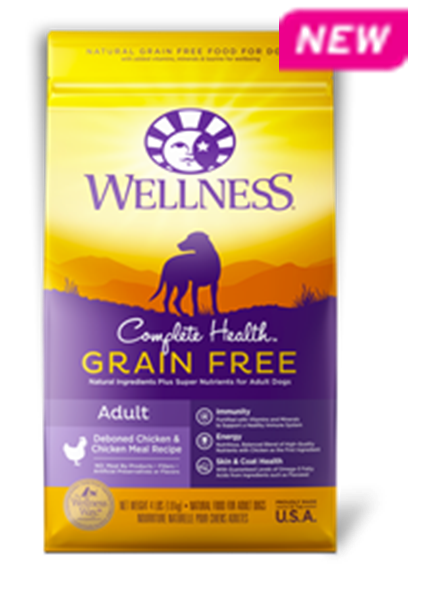 This high-protein, lower-fat dog food with turkey, chicken, salmon oil and fruits and vegetables can help support your dog’s optimal health. 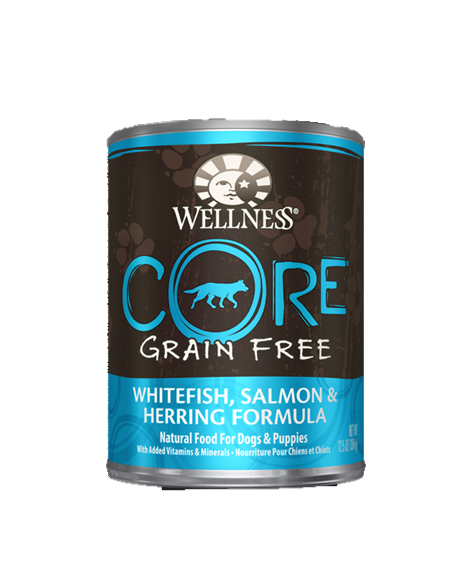 Wellness CORE Reduced Fat Formula Adult Dog Food is formulated to meet the nutritional levels established by the AAFCO Dog Food Nutrient Profiles for maintenance. Combination Feeding: If feeding with wet food, reduce dry amount fed by 56 grams, for every 170 grams of wet food. Calorie Content: This food contains 3,250 kcal per kilogram or 360 kcal per cup ME (metabolizable energy) on an as fed basis (calculated).